Authorities rule out terror motive, say disgruntled worker torched Jerusalem hotel due to recent firing. Police say that they have solved the case of a Jerusalem hotel fire that injured ten people. 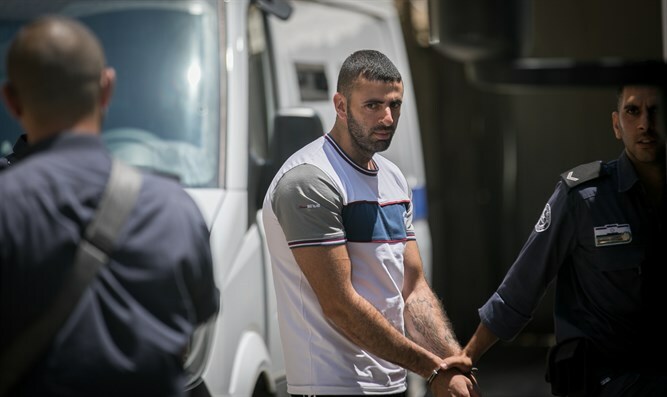 According to authorities, 30-year old East Jerusalem resident Mahmoud Jaberi decided to torch the hotel after he was suddenly fired from his job without explanation. Jabber was assisted by two friends in setting the hotel alight. The fire injured ten other people, three of whom were treated at the scene. A family of four, who suffered from smoke inhalation and burns, were taken to Jerusalem's Shaare Zedek Hospital, with the father's condition deemed very serious and the others' serious. Despite reports that the incident was terror-related, police ruled out a nationalistic motive and stressed that the arson was done from personal anger at the suspects ex-employers.